Easter week saw the various railways and tramways on the Isle of Man staging a Rush Hour on the Railways event with intensive timetables on all lines. The Isle of Man Steam Railway ran a two-train service on several days with additional dining trains requiring three locomotives to be in steam. 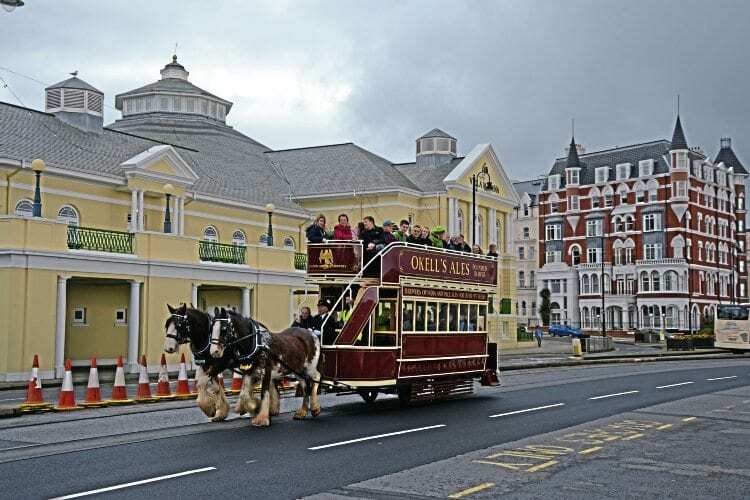 Two horses are required to haul the Douglas Horse Tramway’s only operational double-deck tramcar. The Manx Electric Railway and Snaefell Mountain Railways both ran timetables with passengers queueing for sometimes fully-booked trams. On the Douglas Bay Horse Tramway, operations were in full swing following the tramway’s welcome reprieve and double-deck tramcar No. 52 made a rare appearance over the Easter weekend, headed by two horses. More pictures in Issue 228 of HR – on sale now!